Workplace stress is fine in moderation, but keeping it manageable can be difficult. Certainly, you're aware of this fact and of how crucial work-life balance is to your employees' health. But, in fact, those employees may be struggling to create work-life balance in their lives, according to a new study about the intensity of workplace stress. Specifically, that July study from Groupon, found that more than 25 percent of the 2,000 employees surveyed said they endured constant pressure from their boss. And that pressure entailed more than just an overbearing boss breathing down their necks, making their jobs burdensome: 60 percent said there were not enough hours in the day to complete all the tasks they were assigned. Knowing, then, how intense stress can burn out workers, resulting in more absences and lower productivity, you and other employers need to take action. You need to prioritize training about work-life balance. Here’s how to ease the pressure on employees, to help them manage their professional and personal lives. Tasks should be given to employees who can succeed at them. Identify each employee’s strengths and weaknesses, then assign projects appropriately. For example, if a sales representative has demonstrated strong presentation skills, assign an upcoming demonstration to that individual. While it is important for employers to challenge their staff members by pushing them out of their comfort zone, they also need to know when enough is enough. If employees are feeling overwhelmed, it’s best to set them up for success. Let them use their best skills regularly so they can confidently perform their duties and continue to improve upon their strengths. How can employees succeed if they don’t know how to define success? Employers who fail to set goals and define objectives (OKRs are "objectives and key results") for their staff are not leading those employees to growth. A May 2016 survey of 250 companies from Geckoboard found that companies that keep employees aware of key metrics and set clear objectives are demonstrating one of the top important factors that contributes to company growth. When employees are aware and given specific targets to aim for, they are more engaged in their work and motivated, because they know what success looks like. Begin at the top. Set broad goals that are larger in scale, then cascade the objectives to each team and each employee. Define what is to be achieved (the objective) and create a plan of execution (the key result). No more stressing and guessing for employees. They should know what’s expected of them and how they can take action. 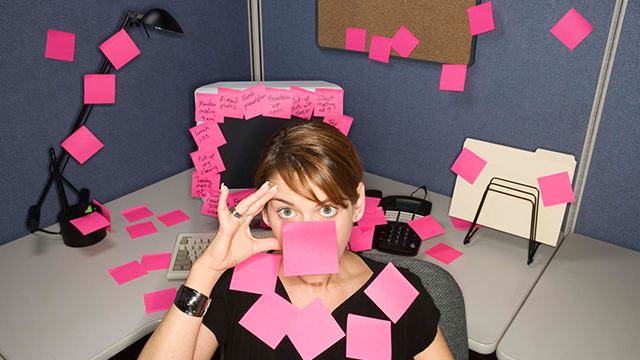 The term “overwhelmed employee” is a hot issue and most companies are concerned about it. A March 2014 study from Deloitte found that 65 percent of more than 3,300 executives surveyed consider it to be an urgent, important trend. Yet, 44 percent said they were not ready to deal with it. So, where does the employer play into this? In defense of employers facing this issue, employees need to speak up. If they don't, their managers will find it difficult to determine that they are truly struggling and feeling overwhelmed. If this describes you as an employer, adopt a transparency policy to give staffers a voice and encourage them to feel comfortable to speak up. Ask for feedback so you can adjust workloads and give them the tools they need to ease the burden. Surveys are a great tool for understanding how the company feels on a large scale. To gain insights from each person, ask important questions to invite them to share ideas and make suggestions. Individual meetings, like performance check-ins or lunches, are ideal for truly hearing each employee and making the right adjustments to operations to ease the burden they may feel. Don’t keep employees guessing about how they’re doing in terms of job performance. Some of them may be constantly stressed and feel like underachievers when really they are hitting their marks. Use real-time performance data to track and manage each employee’s productivity. Provide feedback to correct them if needed, but reinforce the fact that the company wants them to succeed. To combat the constant pressure most employees feel, focus the dialogue on finding solutions to ongoing issues with workload. For example, if they feel that deadlines are unrealistic, ask for their opinion on what realistic deadlines look like to them. Then find something that works for both the employee and your business' needs. There are several options for more flexible scheduling, which may help those struggling to find work-life balance. A 2015 survey from FlexJobs found that 30 percent of respondents said they would take a 10 or even 20 percent cut in pay in return for flexible work options. In addition, fully 97 percent said a job with flexibility would have a positive impact on their overall quality of life. Find what options work for your employees, their teams and immediate supervisors plus their clients or colleagues. Then put the decision into employees' hands. Perhaps flextime is best for their schedule. Maybe working remotely from a home office will give them some relief as they take care of young children. If several employees want flexibility, job-sharing may be the best solution. These arrangements are effective at helping employees learn how to coordinate their work and home life. Once those working for you can finally achieve a positive work-life balance, they will be happier, healthier and more productive.